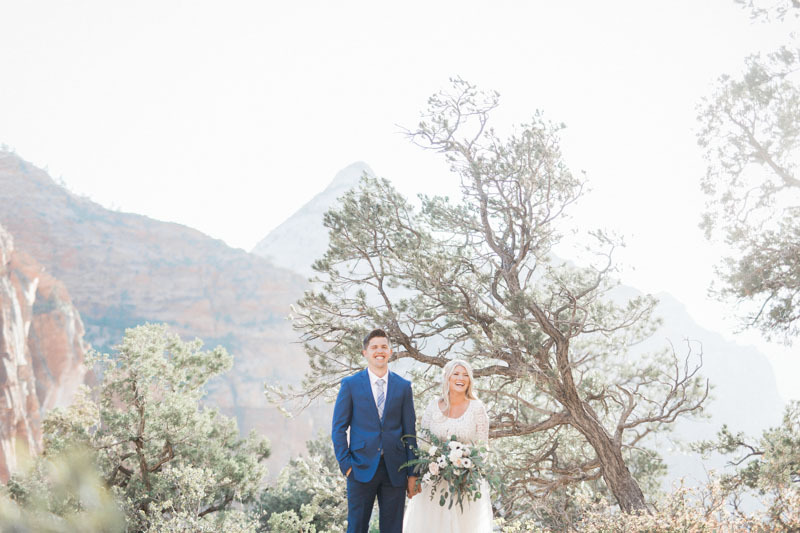 I love Zion National Park for a wedding. 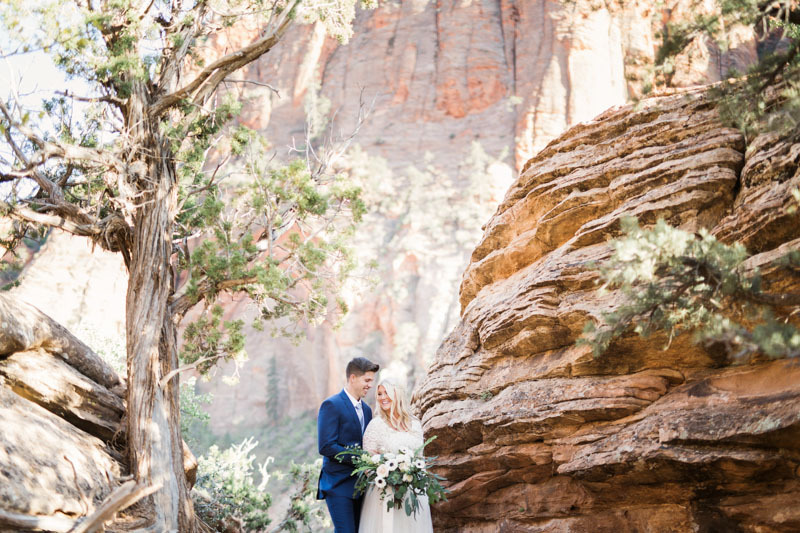 In all the world there really is no place quite like Zion! 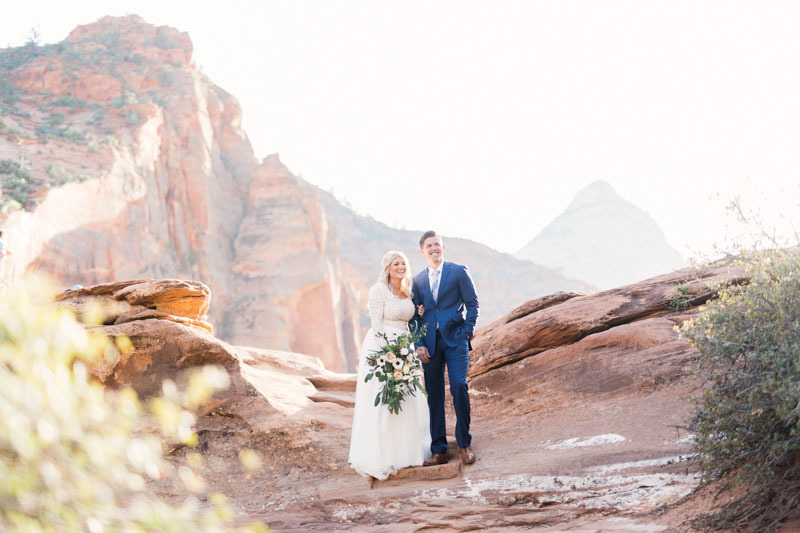 Chantelle and Macrae are both from Southern Utah, and wanted to have Zion to be the background of their bridal photos. 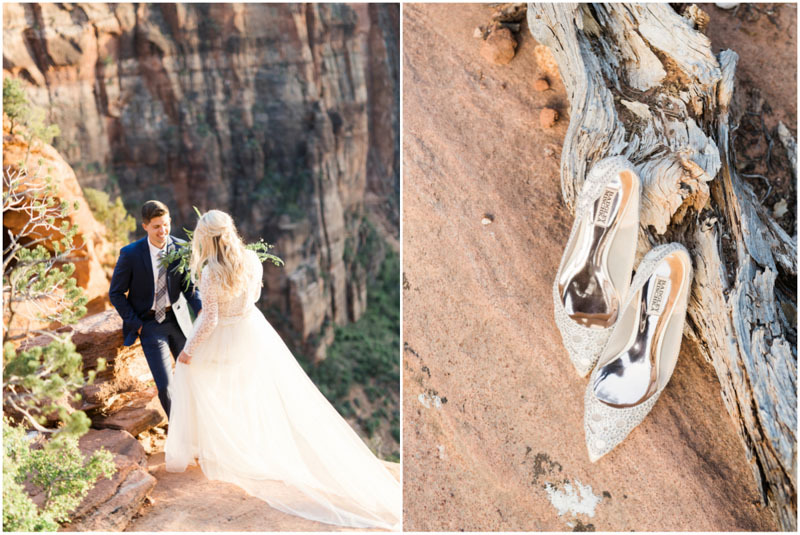 I love the Zion Overlook hike for wedding photos! 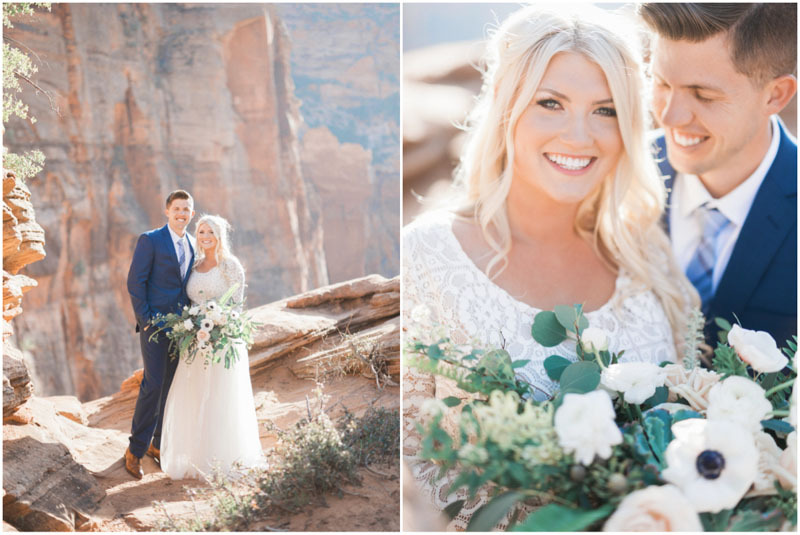 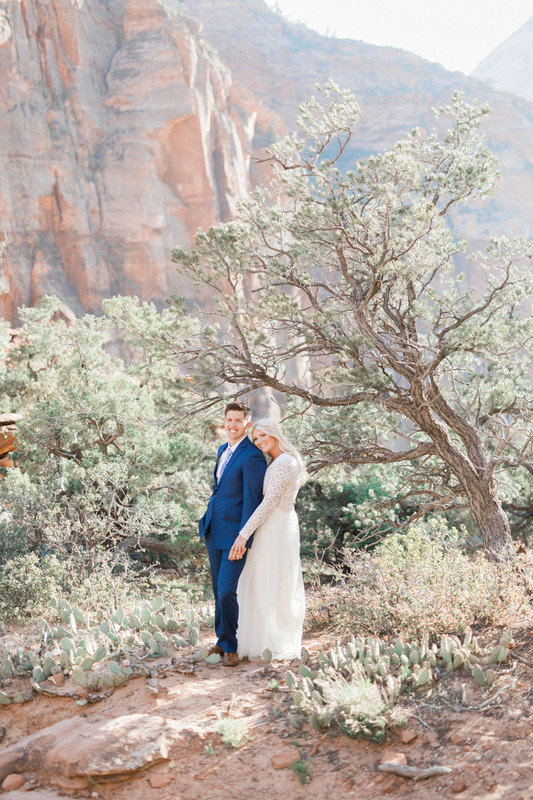 A Zion canyon wedding is so unique and beautiful! 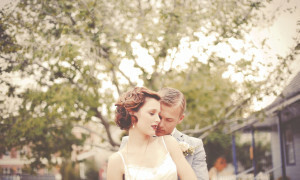 The day was warm, albeit beautiful. 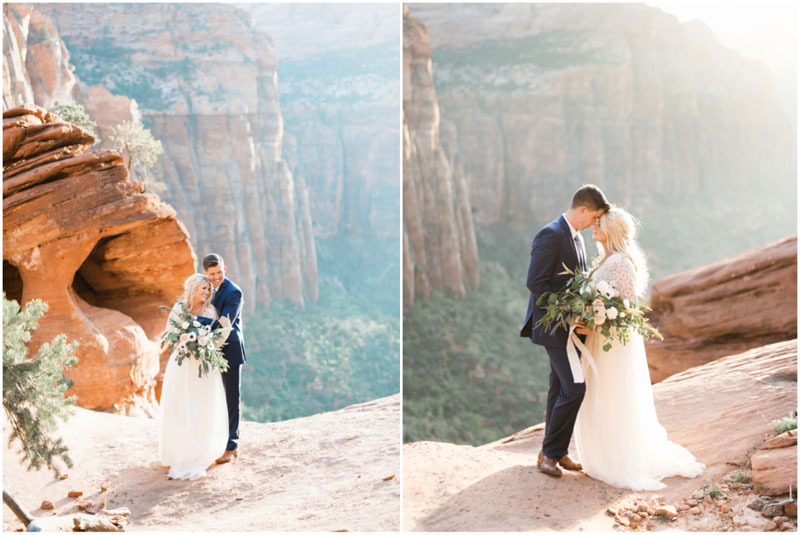 I loved the afternoon sunlight breaking through the sandstone cliffs, lighting these two just perfectly! 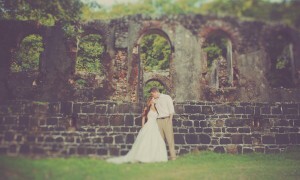 Not to long ago I was photographing engagements for Chantelle and Macrae. 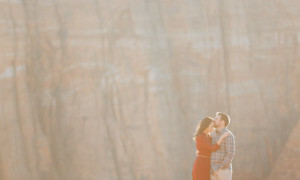 We had an amazing time in Snow Canyon for their engagement photos! 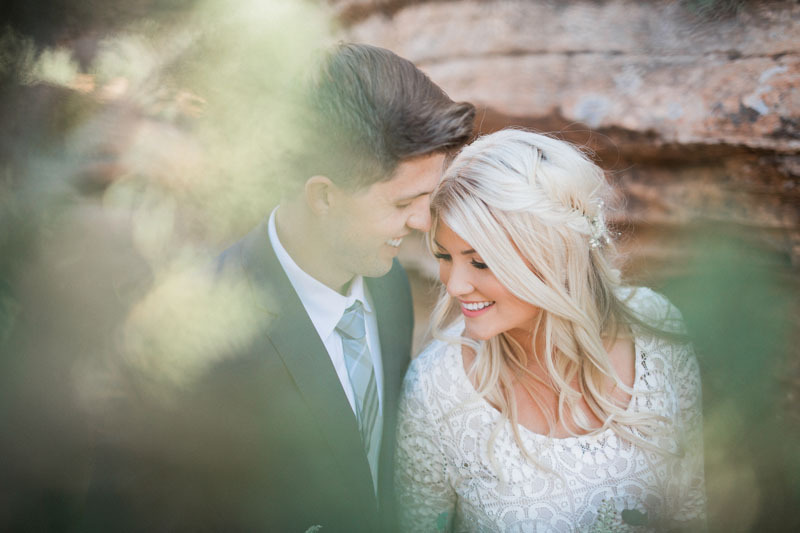 I knew then that Chantelle had amazing style! 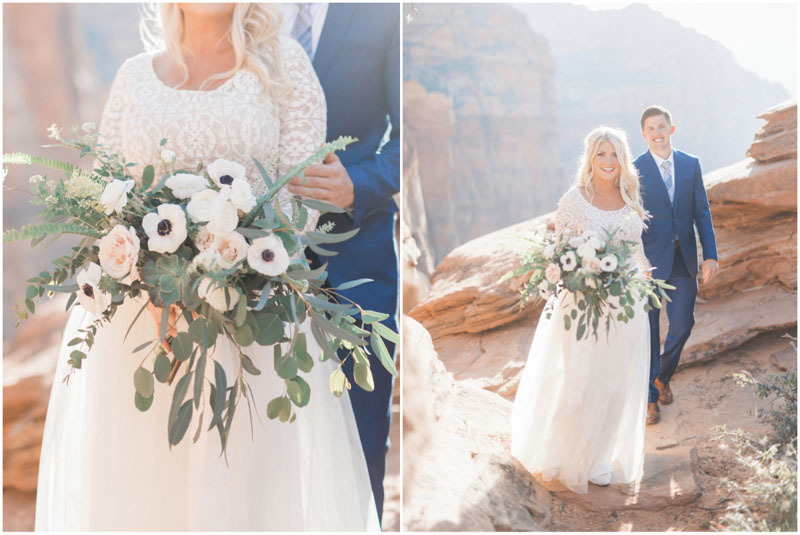 She really showed it off in her stunning long sleeve wedding dress! 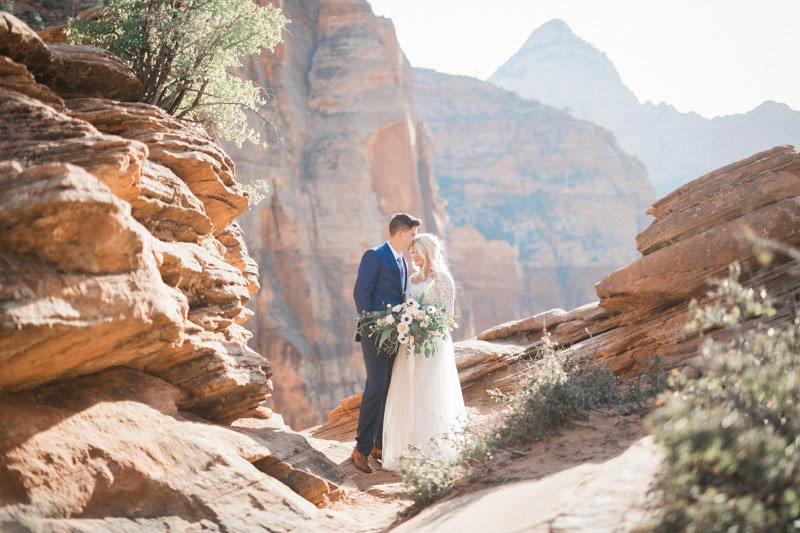 I love the red rock of Zion, and how it contrasts with their beautiful wedding attire. 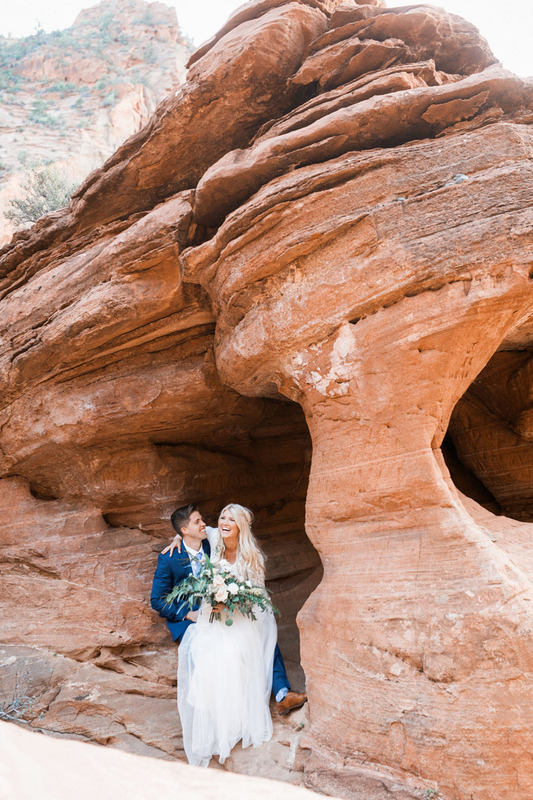 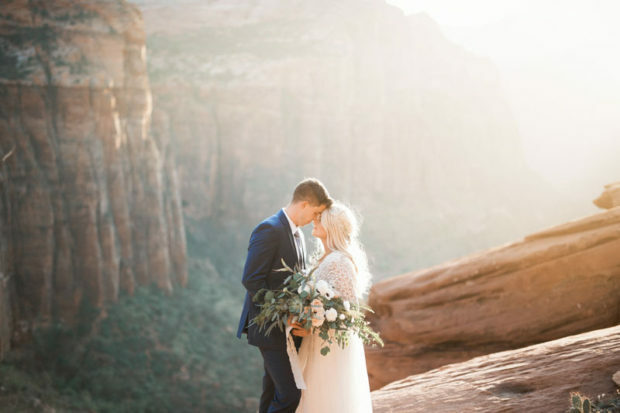 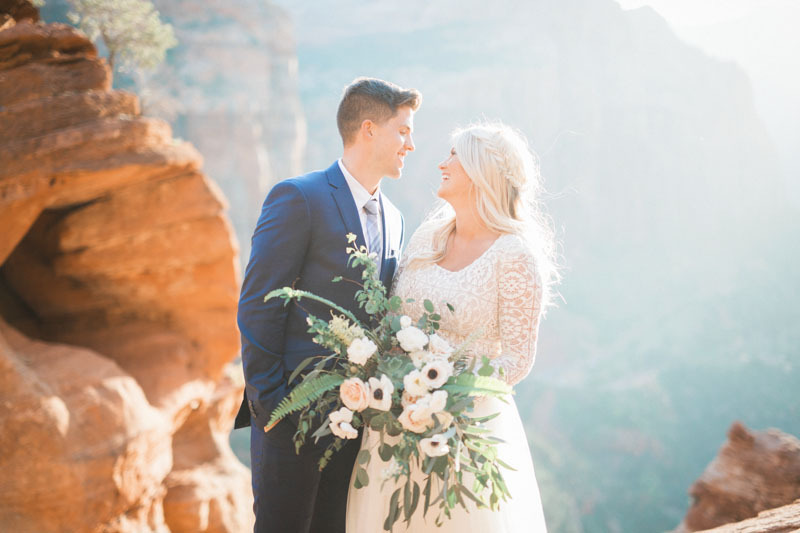 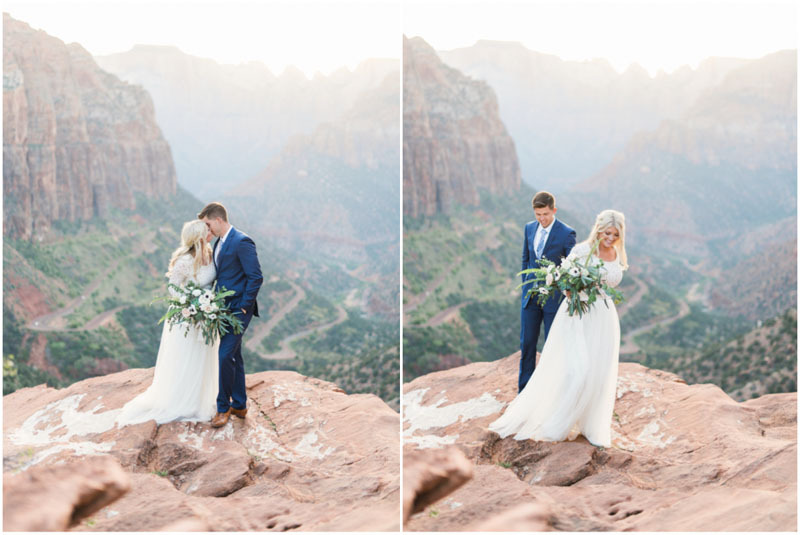 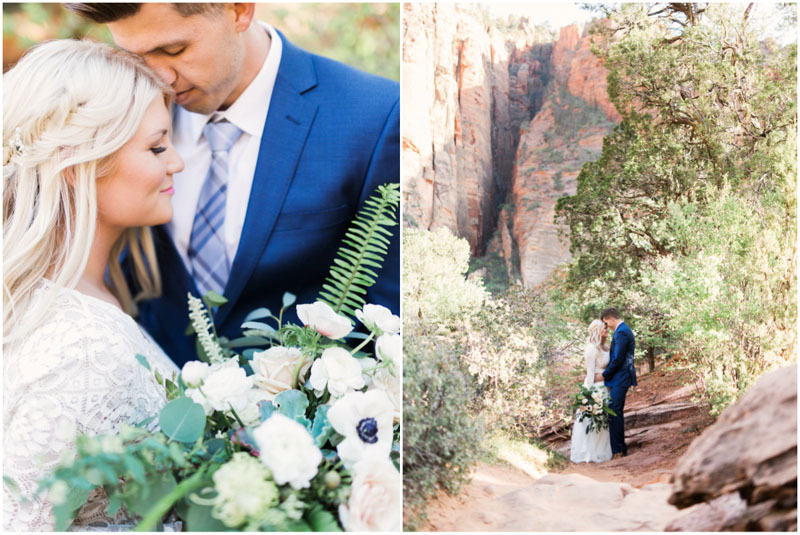 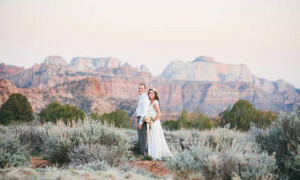 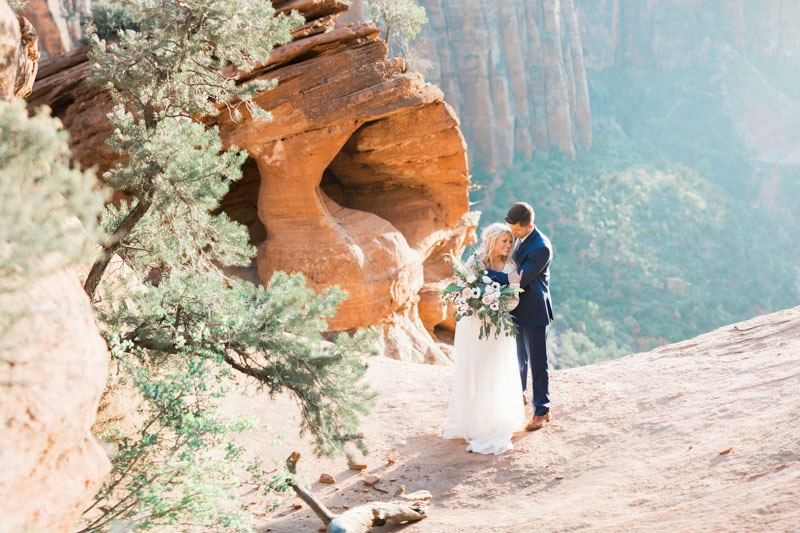 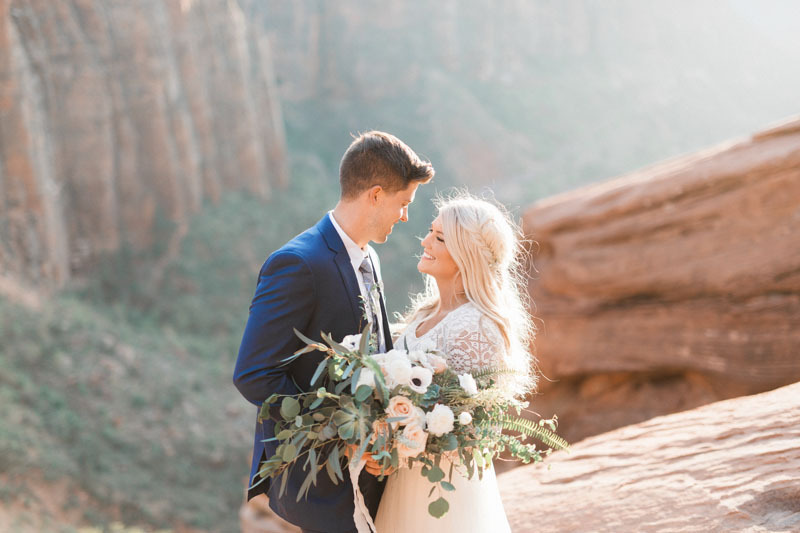 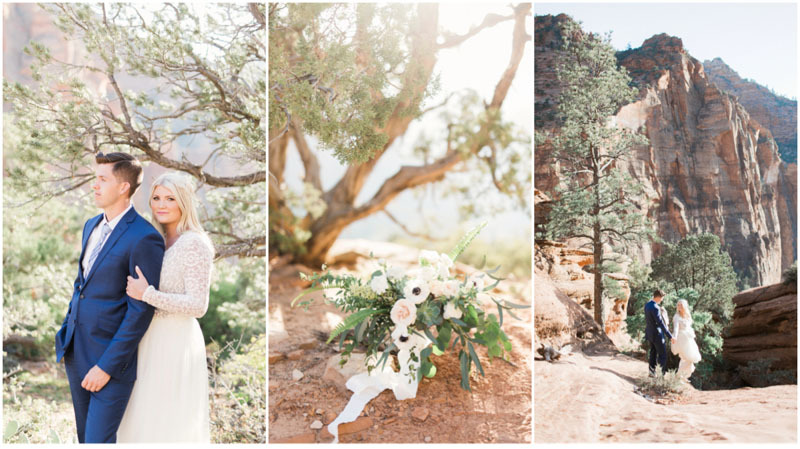 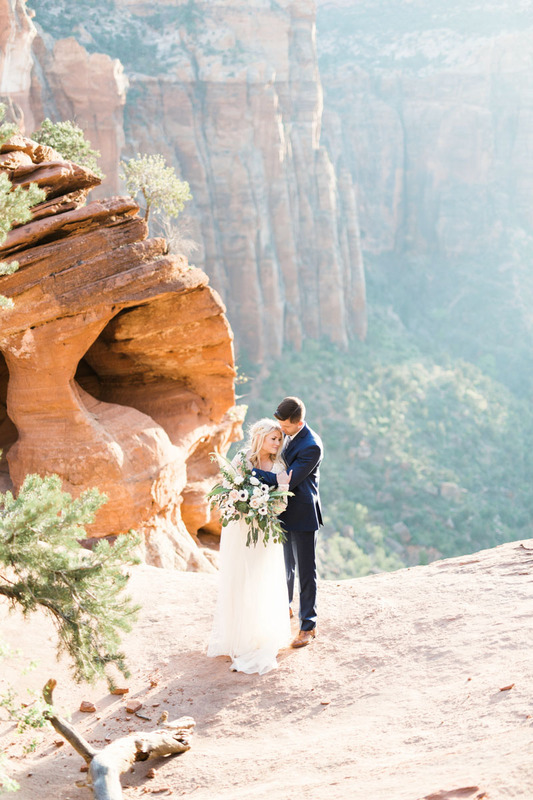 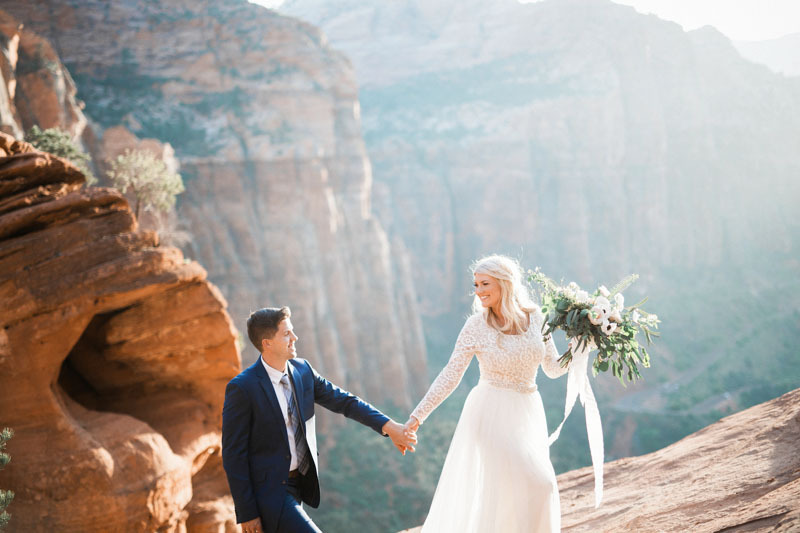 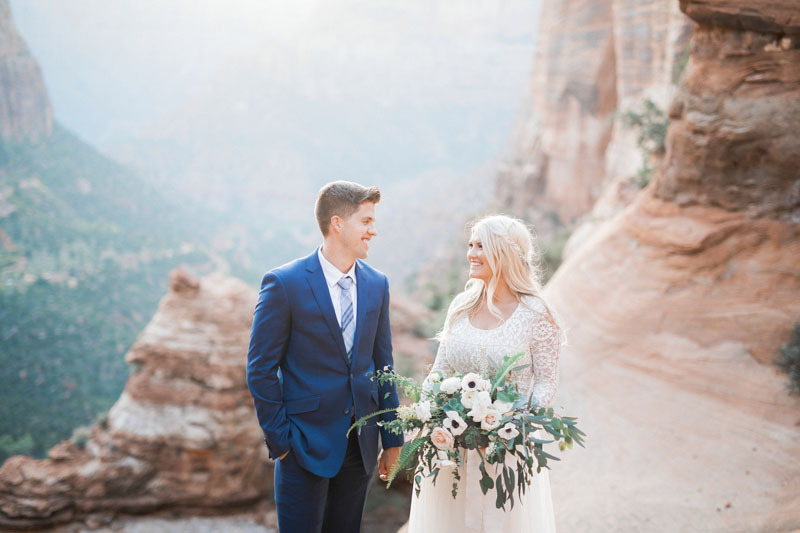 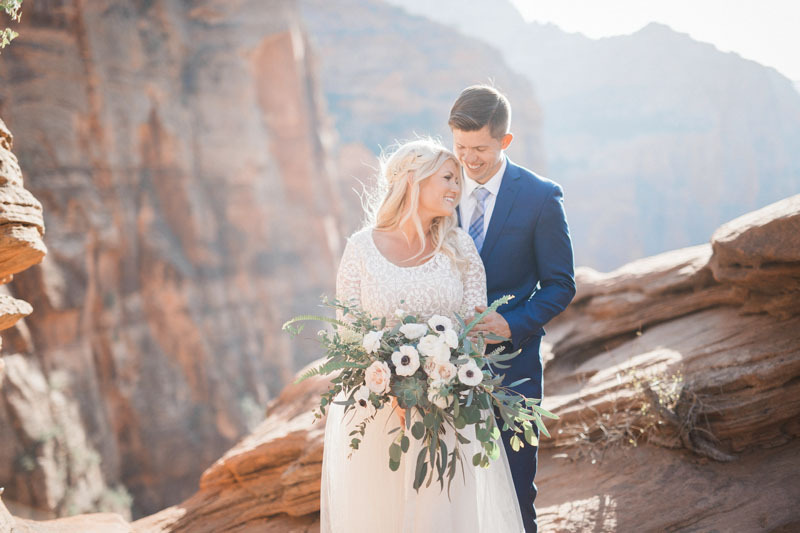 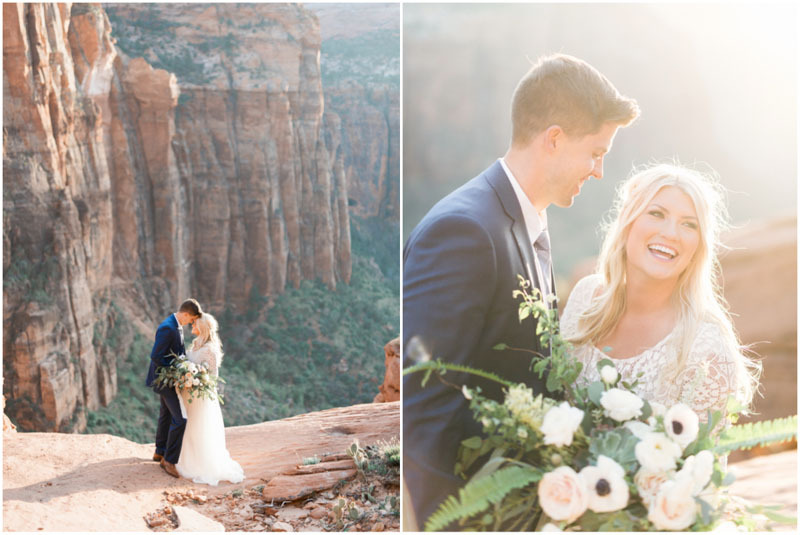 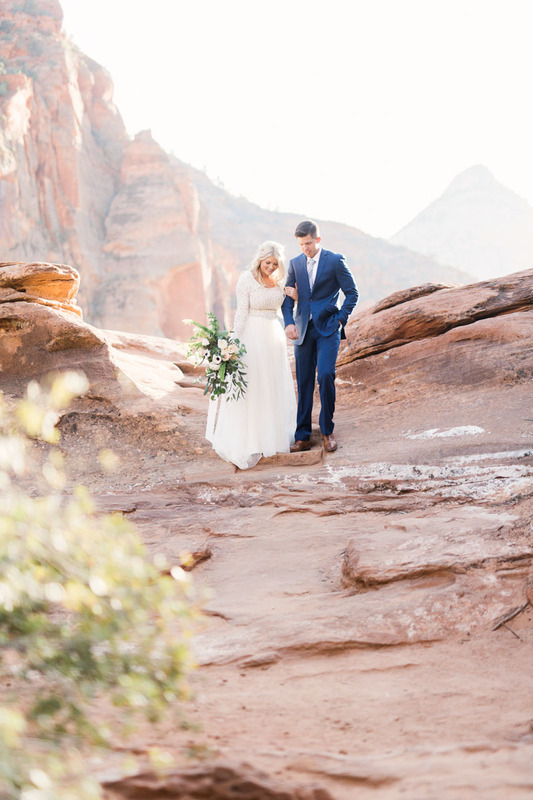 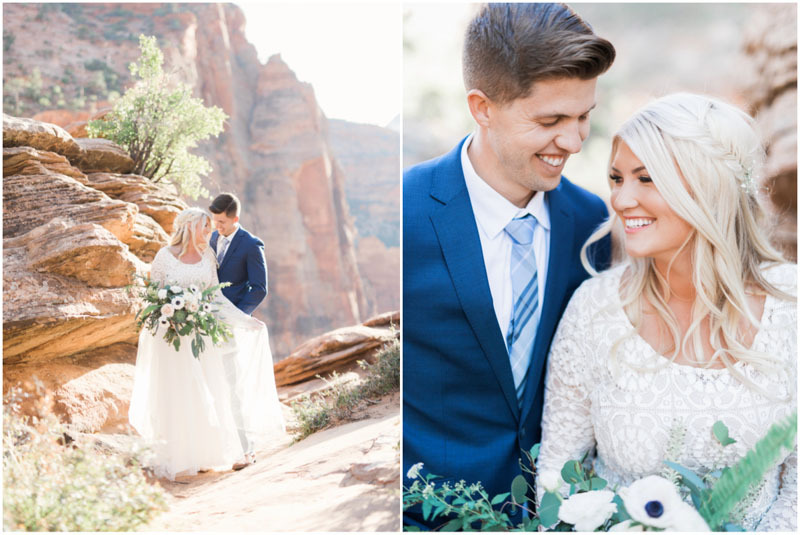 A Zion National Park Wedding is always an amazing idea! 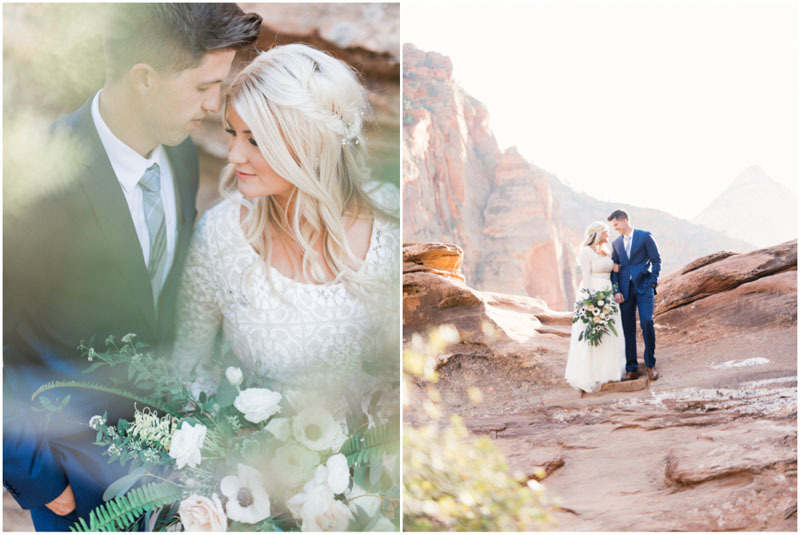 These two were married in St George, so doing their bridals in the park was the perfect alternative! 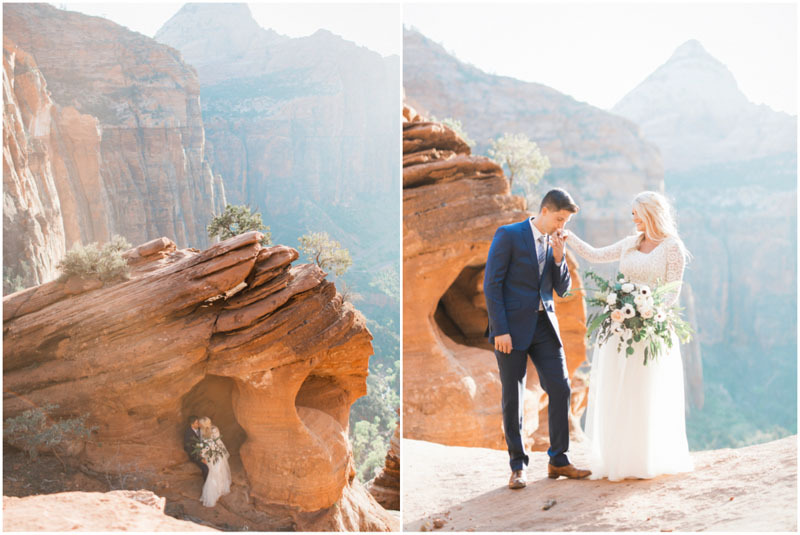 If you are contemplating a destination wedding or elopement in Zion, I hope these photos will help convince you! 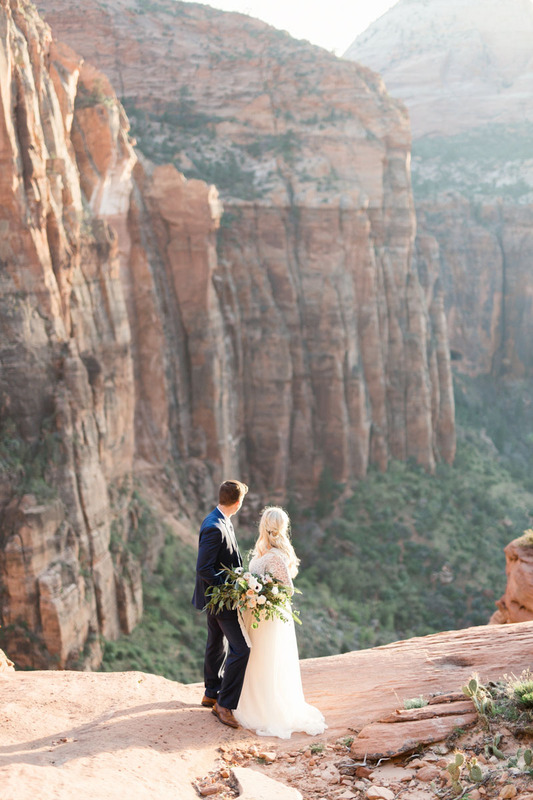 This is just one of the awe inspiring views within Zion National Park! 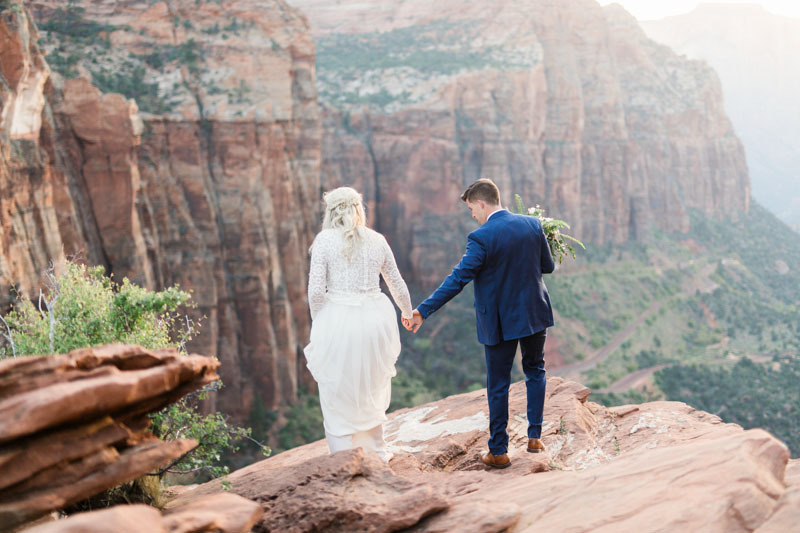 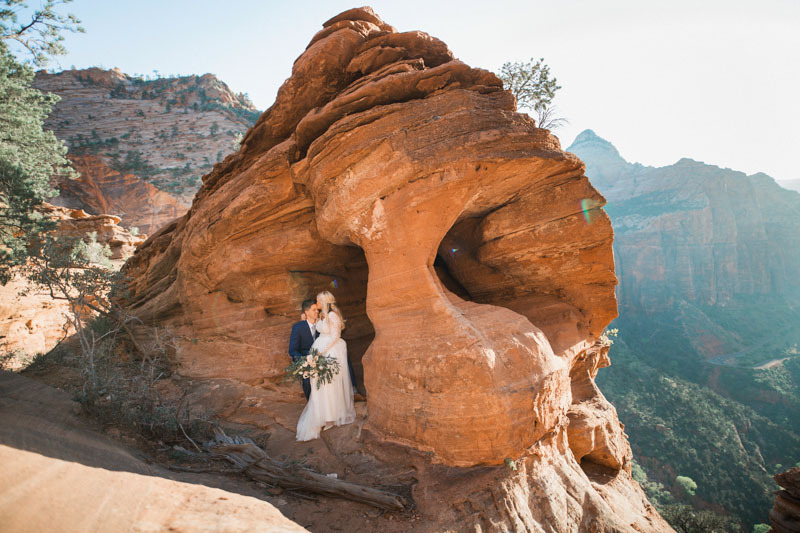 Although Zion is one of the most well known of the national parks, it is still the perfect place for a small elopement, or a large wedding!